How was 2018 for you? We reviewed our successes, articles and blog posts for the year. It's not an exact science, but we did our best! I can thoroughly recommend doing something similar for your business. It's interesting to review the year just past, and it's empowering and uplifting to realise we achieve much more than we remember. I hope you enjoy the summary below. 2018 was a busy year - here are just a few highlights! If you read our newsletter, you are now part of a community of 41,000 newsletter readers from 175 different countries. Coaching is so international - and we hope to grow our readers to 50,000 in 2019! 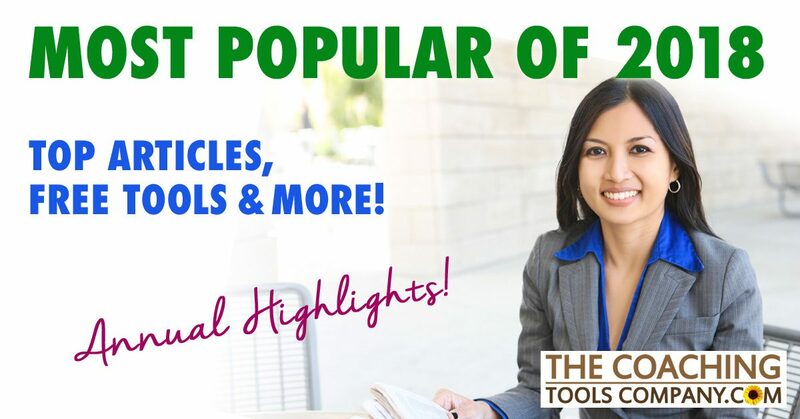 Our free tools were downloaded 163,824 times! You asked for more sales. 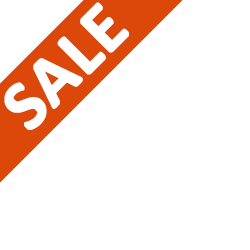 So as well as our popular Annual Fireworks Sale offering 35% off Sitewide, we introduced a new Flash Sale offering 25% off Sitewide for Cyber Monday. Plus we now offer great discounts off 3 products a month! We simplified our newsletter look and feel - to make our emails easier to scan and read. We gave away 3 WBECS "Executive Speed Learner" Packages (valued at $1497 each) offering over 160 CCEUs! Emma-Louise was asked to present to the coaching team at NASA on Coaching Tools. We can now officially say, "The Coaching Tools Company works with NASA"! She also co-led the ICF "Life Vision & Enhancement" Community of Practice with Lynda Monk and facilitated 4 live webinars plus a Facebook "Live" to help coaches use Social Media! We hired the fabulous Mary Turcott - who you may be seeing around more online and in our emails more. She moderates the Facebook Group and manages our Social Media presence as well as learning the business! Duncan continues to help people with Customer Support and (importantly!) maintain the website. 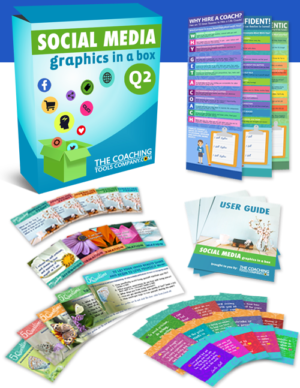 We launched 2 New Social Media Products an ENTIRE year - 365 Days of Social Media Graphics - exclusively for Coaches and the brandable Inside a Coach's Heart Social Media GRAPHICS. The Welcome Pack Toolkit is now available in Spanish! See the Paquete de Bienvenida here! 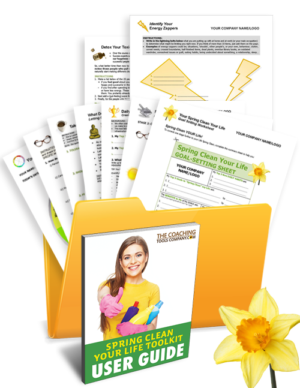 We also introduced the *NEW* FREE Workshop Action Recording Sheet, the Spring Clean Your Life Toolkit User Guide, added the Do Anywhere 5 Things Free Gratitude Tool! 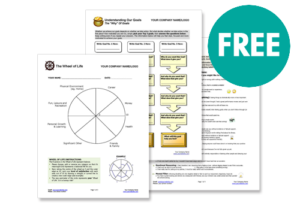 to our regular free tools and gave the Complimentary Session Vouchers TEMPLATE a beautiful facelift. We lived our corporate values and donated over $11,000 to charities we believe are important in the world! You met 10 more coaches in our "Meet The Coach" Features, where you get to meet your fellow coaches! We were proud to support World Mental Health Day with 3 different sets of graphics to share. It's important to us to normalise talking about Mental Health! Equal 1st place Welcome Pack Toolkit - Get started with a new client! 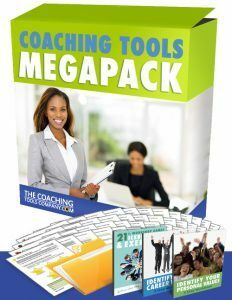 4th Career Coaching Toolkit - 7 great career coaching tools! Followed by our Coaching Agreement Sample Template, Balance & Self-Care Toolkit, Self-Discovery Toolkit, in equal 9th place the 21 1/2 Workshop Icebreakers & Exercises and the Inside a Coach's Heart Social Media GRAPHICS, and the Productivity & Time Management Toolkit to round out our Top 10! I hope you enjoyed these highlights and summary! For our latest articles visit the Coaching Blog or go here to Sign-up for our newsletter! We'd love to hear your 2018 highlights - simply tell us in the comments below! Hi Emma, it is great to read your year in review! You and TCTC have much to celebrate. I love watching you use your own tools to succeed in your business, like your Goal Setting Toolkit and more. 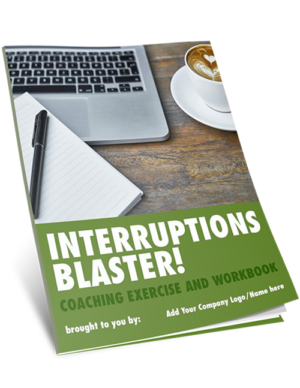 You are a true inspiration as an entrepreneur within the coaching industry. 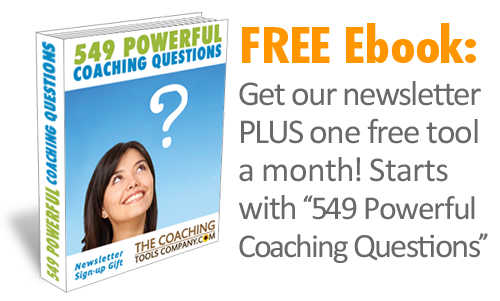 Your tools help many coaches and our clients alike. Best wishes for a fabulous 2019, I can already imagine your list of successes for the year to come! Thanks for being a great co-leader in our Life Vision & Enhancement Community of Practice with the ICF, for being my Mastermind partner and for being a true friend and colleague. Keep shining your bright light in the world!